Students looking to build credit while earning rewards for establishing responsible credit habits. You can earn up to 1.25% cash back on everyday purchases like school supplies, food, and gas when you pay your bill on time each month. See other top student credit cards. 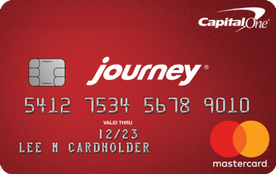 Our take: The Journey Student Credit Card has some great features to teach good credit management, but it’s weighed down by a high interest rate.